Marine Parts Warehouse has provided used outboard and sterndrive parts for more than thirty five years. As a family-operated business, we strive to ensure our customers' satisfaction with both the parts they order and the service we provide. Our 28,000-square-foot facility in Scottsville, Kentucky is stocked with thousands of used outboard parts, from Evinrude to Yamaha, and so much more. 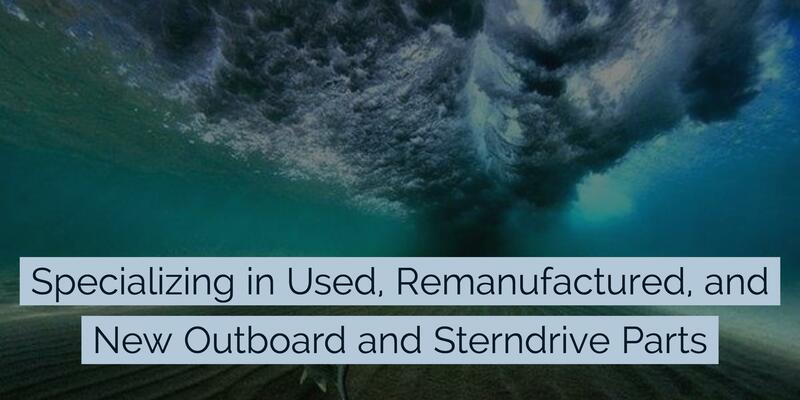 We also offer a variety of new and remanufactured outboard and sterndrive parts from numerous trusted distributors. We offer competitive conventional and freight shipping rates, and we ship new and used parts to all fifty states and countries around the globe. Marine Parts Warehouse - Specializing in Used, Remanufactured, and New Outboard and Sterndrive Parts.